This world globe sits on a stylish contemporary stand and features the latest cartography from National Geographic. Add an educational and chic touch to an office, living room or student's room with this blue ocean National Geographic globe. 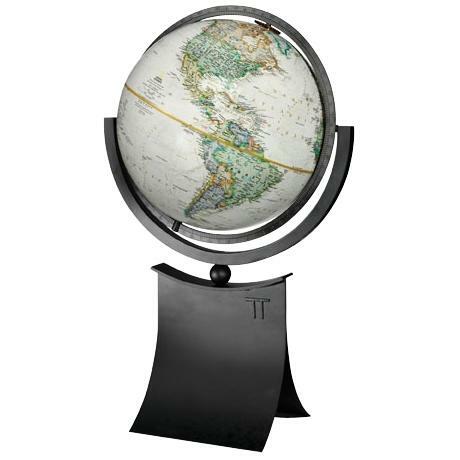 The modern black metal stand has a sweeping design that echoes the curves of the traditional globe. Features the latest cartography and updated place names. • Blue ocean globe on stand. • Black metal base and semi-meridian.